Picture it: you’re on holidays on the streets of London, chatting to someone who asked your nationality and saying “Hi, I’m a Tomtit”? Or explaining to visitors why we have a pukeko (“a what? !” they ask) on our one dollar coin? Kiwi are pretty unique – just like New Zealanders! After all, there are plenty of kingfishers, warblers and wrens around the world, not to mention parrots and harriers. Without kiwi, we aren’t Kiwis. The kiwi are part of a group of flightless birds known as ratites; these birds date back to Gondwana times – making kiwi more Kiwi than we are! It would be pretty embarrassing (not to mention sad) if we lost our national icon or if our national icon lost this vote. Kiwi fact: A couple hundred years ago, we had millions of kiwi. By 1998, the kiwi population had plummeted to fewer than 100,000 birds? By 2008 that figure had fallen even further – to about 70,000. In unmanaged areas the kiwi population is falling by 5% per year. 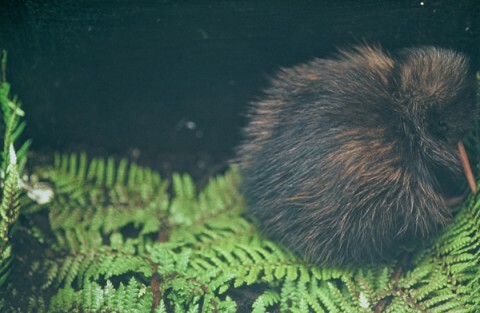 About 50% of all kiwi eggs fail to even hatch, and of those that do about 90% of chicks are dead within 6 months, mostly killed by stoats or cats. They need our help. By voting for the kiwi you’re bringing to everyone’s attention the plight of our national icon. Vote now – the kiwi can’t fly but, with your help, they might just win. I”m afraid I must contradict you on the “plenty of wrens” count. Yes – there ARE plenty of wrens around the world, but ours are not related to the european or american wrens, ours are truly in a family of their own – and a family which is now down to only two extrant species. The name “wren” like “robin” and so many other European named birds, is named merely because they reminded the early immigrants of the birds back home, not that they were related. Of course, kiwi ARE truly remarkable, and there’s nothing else anywhere else that even superficially resembles them, so you’re right on that nose there!